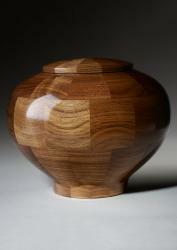 For an affordable urn that shows off the beauty of rich wood, consider the Praise cremation urn. 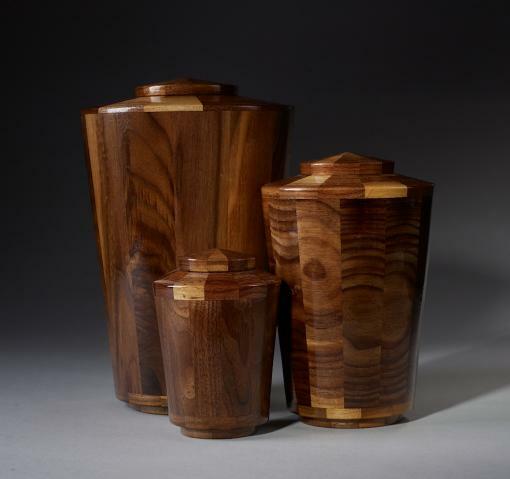 Part of our Endless Love line, the Praise urn is a canister-style urn made from a combination of Black Walnut and Maple. 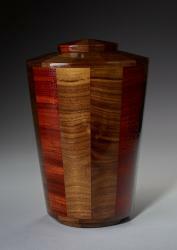 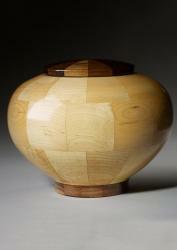 Steve Shannon pieces together both woods into the urn shape, and then hand turns the urn until it is smooth. 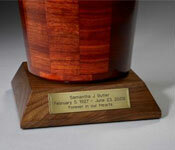 The wooden Praise urn is available in keepsake, small, and large depending on the size of your loved one. 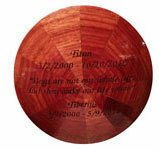 Urn jewelry is available separately at Etsy Charmed Wife Shop.